Bryson White, 20, and Ron George, 18, were arrested at Western Michigan University Friday. 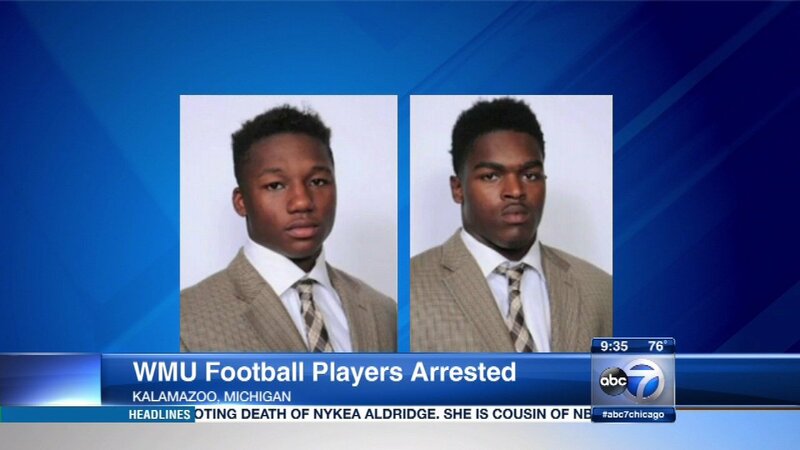 KALAMAZOO, MICH. (WLS) -- Two college football players at Western Michigan University could be arraigned Sunday for allegedly robbing a woman near campus. School officials said wide receiver Bryson White, 20, and linebacker Ron George, 18, held the woman up and an off-campus apartment complex in Kalamazoo Friday night. They reportedly used a semi-automatic weapon and knife during the robbery. The University said they were later arrested on campus. White and George are facing first degree home invasion charges.